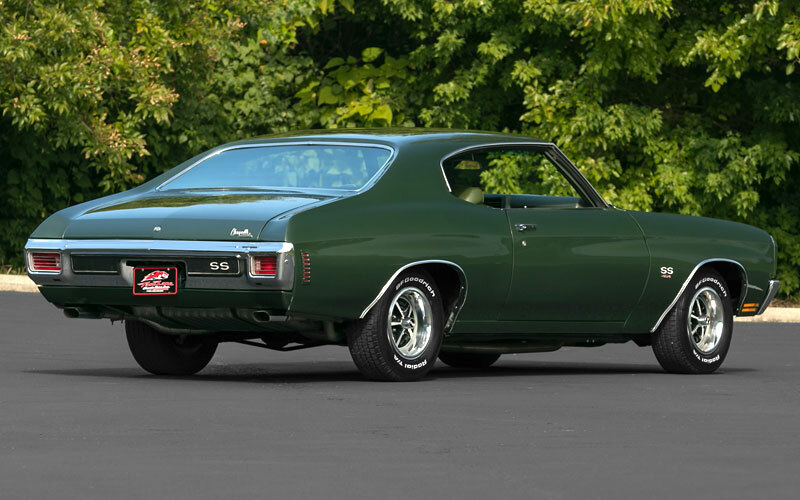 With the unmistakable resonance of the dual exhaust a 1970 Chevelle SS LS6 454 rumbles onto the pages of Cars-On-Line.com this week. When the muscle car wars were played out on drag strips all over the U.S. and Canada, this LS6 monster muscle car became legendary. It was Chevrolet’s top muscle car offering ever, and one of the Top 10 Best Muscle Cars of all time. 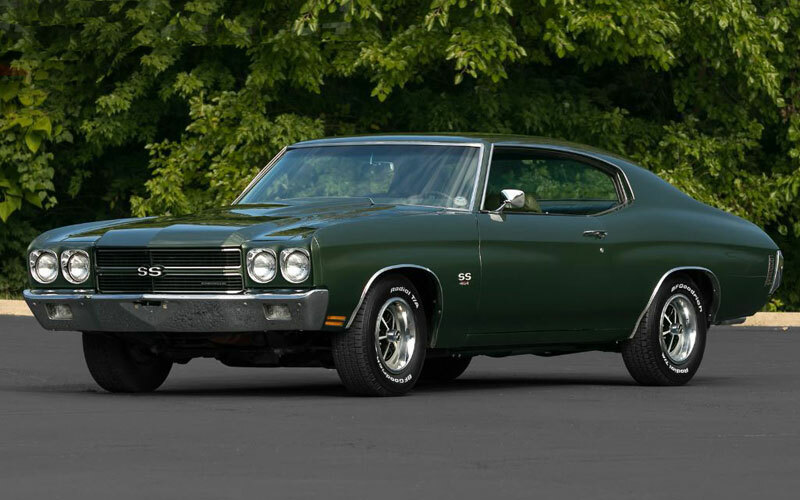 A Forest Green 1970 Chevelle SS LS6 454 is currently being advertised in the Chevelle Section of the Cars-On-Line.com website today. Cars-On-Line.com is America’s most popular classic muscle car website. The highly documented factory LS6 original is being offered by Fast Lane Classic Cars in St Charles, Missouri. They note that it is numbers matching with an 800 Holley 4-barrel, Muncie M22 4-speed transmission and 12-bolt Posi rear end. Fast Lane Classic Cars tells us that the documenteation includes an original window sticker, partial build sheet, Protect-o-plate and owners manual. You can see photos of the documentation on the ad page here. They say they have titles since new with nearly all the owners known. They also indicate that the casting dates are correct for the engine and accessories. An extensive restoration was performed, finished in the correct Forest Green colors with correct Dark Green bench seat interior. The car has power steering, power disc brakes, original LS6 454 was rebuilt at a cost of $11,000, day and night rear view mirror, Rally gauges and front and rear seat belts. Check the equipment with the copy of the build sheet in the photos. A base model Super Sport Chevelle would have been equipped with power front discs, F41 suspension, Polyglas F70x14s, and a domed hood. The cowl induction hood was a new $147 option for 1970. It was functional with a flapper located ahead of the windshield that opened at full throttle to feed cold outside air into the engine. The LS6 engine was a 450 horsepower 454, the most powerful monster motor available. 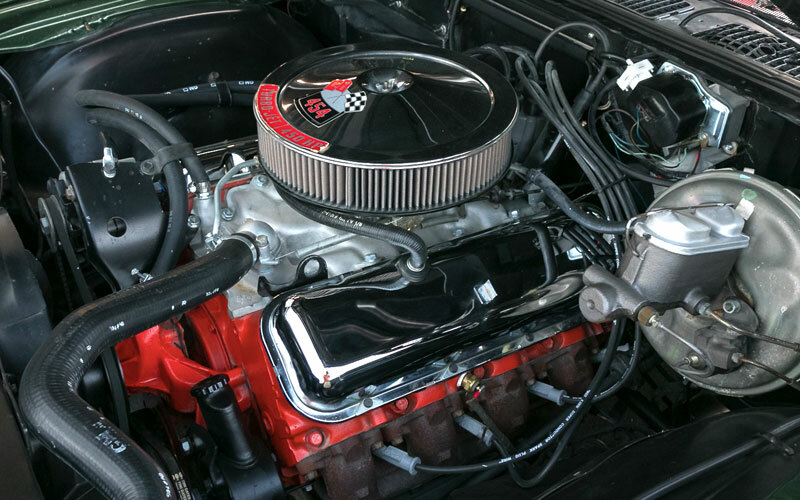 Fed by an 800-cfm Holley four-barrel carburetor on an aluminum manifold, it created 11.25:1 compression with solid lifters, four-bolt mains, forged steel crank and connecting rods, forged aluminum pistons, and deep-groove pullies, No production engine ever had a higher factory horsepower rating. It created over 500 foot-pounds of torque. Factory LS6 Chevelles were known to do sub 14 second ET’s at over 100 mph. The 112-inch wheel base Chevelle LS6 handled almost as easily as it accelerated. All that power in a car that could handle like this is amazing. Mopars go in a straight line, but this Chevelle could fly and turn corners.